Thank you so much for the love on my previous post, I'm so glad you all approve of my new bangs. Having said that, today's post is sans bangs, featuring a makeup look I wore last week, pre-haircut. I wanted to do something different from my usual purple and teal looks, and also wanted to keep the maquillage simple and wearable, in case any of you might want to try it. I used just two eyeshadow colors--yellow and pink for a cute look called Bananaberry (a name I just made up), paired it with a barely there lip and the rest is history!!! GET THE LOOK: Start by priming your lids with a white sticky base. NYX's white base works perfectly here because it cancels out any discoloration on your "canvas". 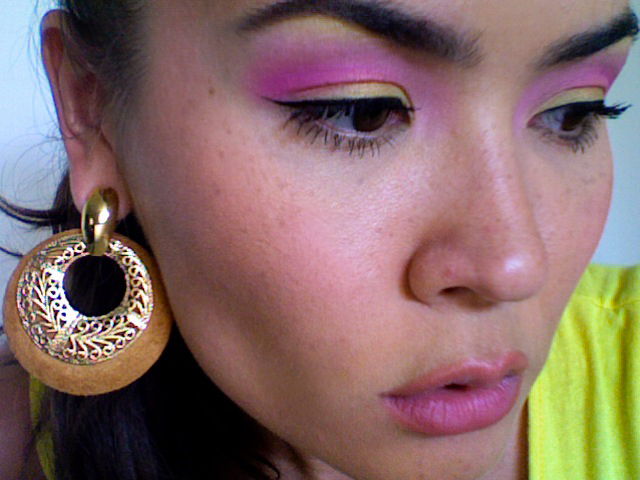 Use the yellow shadow as a highlight under the brow and blend with the pink. I sprayed my brush with some MAC Fix + spray and applied the shadow wet for better color payoff. Love this color combo! It's subtle but effective, don't ya think? This is really pretty. Love the colors you used, very pretty! Lovely color combo and love the look :) you're awesome! I LOVE THIS LOOK! Per usual you are gorgeous, and this look is so cute and fun! Though it makes me so hungry... banana berry?! 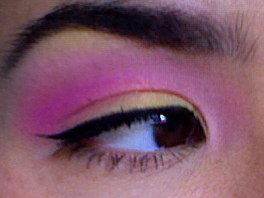 Not to mention pink and yellow are my favorite Starburst colors. Mmm. <3 No, but really, such a cute and fun look. Eres guapíssima con o sin flequillo!!! 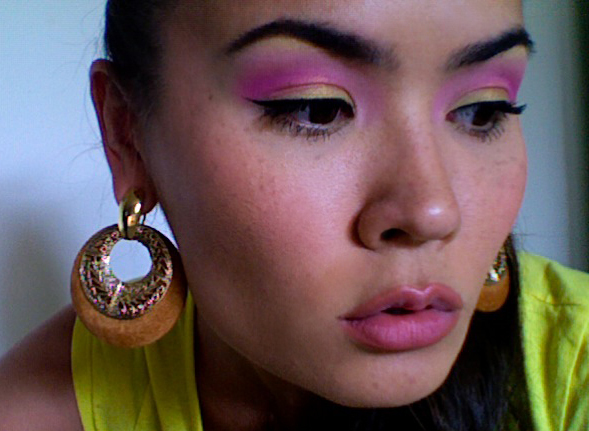 colour blocking make-up, cool idea! Mmmm.. very nice! Love the unusual color combination. Inspirational too! Ahh, you look beautiful! I definitely agree with you about how it looks subtle yet effective. What a great combination of colors, girl. They go so well with your skin tone! Everything looks flawless. This is so nice! 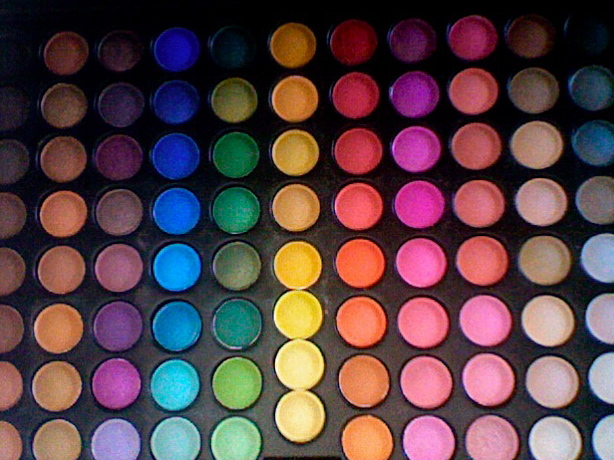 I will try it for sure =) I also have brown eyes and love those pink and orange shades with dark eyes! inspiring! i am soooo copying this- and getting a strawberry lemonade. :) looking beautiful, as usual! Oh I never knew how people would pull off yellow shadows. This is pretty! (: It's subtle but still noticeable. Loll, a bananaberry like strawberries & bananas? i love this look it reminds me of the 80's my fav era my brother also thinks your hot darling your eye make reminds me of rose petals beautiful! I love this look, beautiful! That pink is stunning on you! <3 Mwwwwwaaah! Wow you can totally pull that off! Good job! merciiiii ladies!!! @honey b: yes, totally strawberry lemonade!!! Love it! The colour combo is so lovely <3 Hehh reminds me of the banana strawberry icecream I've been eating lately! Ps: I think the yellow highlight is brilliant!